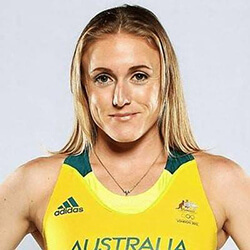 Two-time world champion Sally Pearson completed her first 100 hurdles in over 14 months as she made a return from injury for the Australian National Championships. The 32 year old won the heats in 12.99 seconds before she pulled out of the final due to fatigue. Talking about her latest race, Pearson stated that after the race it felt like she was overheating, and that her legs felt like lead, adding that all she needed to do was get out of there. She continued by saying that she’s disappointed in herself, but that she’s going to start listening to her body from now on. Pearson was forced to retire from the 2016 Olympics due to a torn hamstring, and also withdraw from last year’s Commonwealth Games that took place in her home country as she was suffering from an Achilles problem. Despite this, the athlete is planning on going for a third world title while participating in Doha in October later this year. Adding to her statement, she said that was her first hurdles race in 14 months, and that 14 months is a lot of rehab, and she’s hoping to get back into training against. Despite her attempts to start running again, she believes that she’s not quite ready, although she still has half a year before the start of the World Championships, giving her time to continue her rehabilitation and try to get back to the level she was before the injury. Organisers of the Tokyo Olympic marathons that are set to take place in 2020 have recently confirmed a schedule that shows the races will start at 06:00 local time to avoid the extreme heat that officials are expecting. 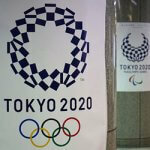 Japanese medics have warned that running too late in the morning could …. 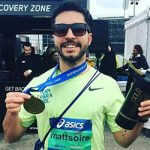 Matt Campbell, a well-known chef and London Marathon runner, collapsed about 36 kilometres into the event. It was the hottest Marathon on record, with temperatures reading 24.1 degrees Celsius at their hottest. The 29 year old chef collapse was immediately reported, and although authorities were quick to the scene, it ….